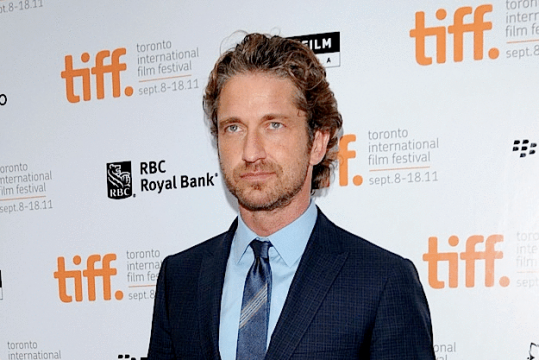 Gerard Butler is a bit of a hit or miss actor. For every 300 he makes, he also gives us something like Playing for Keeps. The Scottish actor has had his fair share of ups and downs but after the recent success of his latest film, Olympus Has Fallen, it looks like he’s on the rise again. Today we’re hearing that Butler will step in to replace Liam Hemsworth in the sci-fi action film, The Raven. The project began as a short film in 2010 before being snapped up by Mark Wahlberg, who planned to remake it. Liam Hemsworth was initially attached to star but that has since fallen through and now Butler will take his place. He’ll play the main role, that of Chris Black, “a young man on the run from a robotic police force.” Not sure if Butler can qualify as a young man but now that he’s signed on I’m sure some adjustments will be made. Ricardo de Montreuilis, who helmed the short, will be in the director’s chair and the script will be written by Justin Mark and Michael Gilio. Personally, I don’t see much in the short but it’s apparently caught the eye of many Hollywood execs and is causing quite the stir. Hopefully we’ll get something worthwhile and not just another recycled sci-fi flick that takes place in a futuristic world. Check out the original short film for yourself below and let us know what you think in the comments. Do you think The Raven will make for a good feature film?